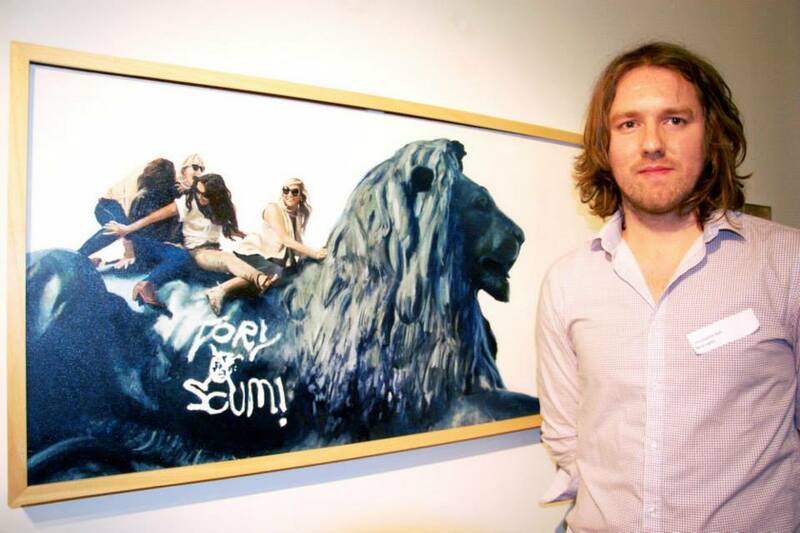 Christopher Hall has won the Swinton Foundation Prize at the opening of the New Lights Prize 2013. The award was announced by the Chief Executive of New Lights Annette Petchey at a packed opening night at the Mercer Gallery in Harrogate. New Lights, established in 2010, is a prize open to artists who were born or are living in the North of England aged between 23-35. Of the 298 entries received, 50 works were shortlisted; the final exhibition showcases the work of 33 exhibiting artists. Christopher said: “Being shortlisted for the New Lights Art Prize and winning the Swinton Foundation Prize is a real achievement and a milestone for me, marking a new phase in my professional career. It is a fantastic opportunity to get my work seen by a wider audience, and it’s great to be associated with such a renowned prize for young and early-career artists.” For more information on New Lights and to view the winning entries click here.